It’s not every day that we have the opportunity to celebrate the anniversary of a move. 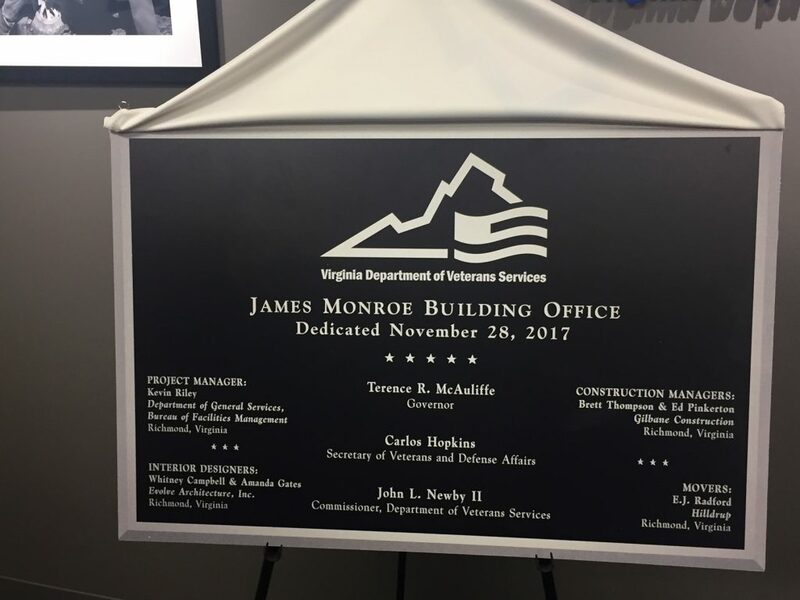 But in late November, we were able to celebrate with our clients at the Department of Veterans Services at their new location, the James Monroe Building in Richmond. 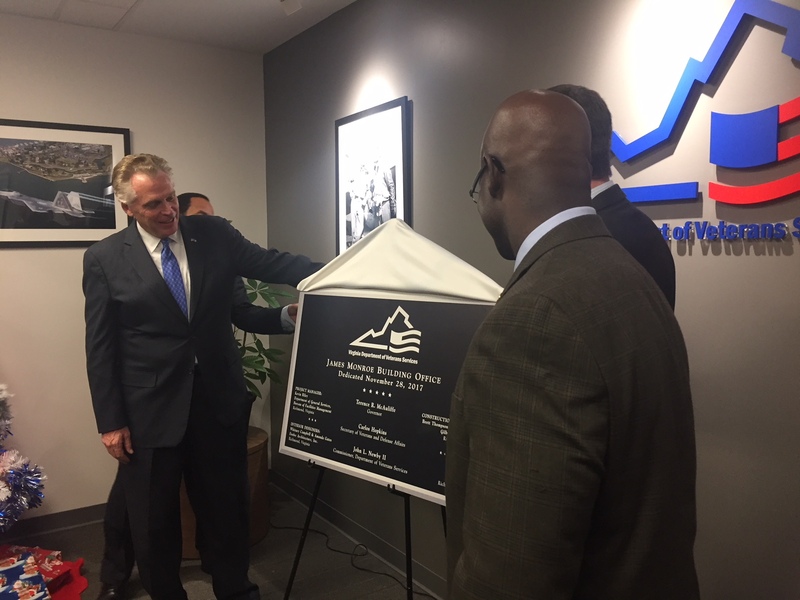 The celebration was complete with a plaque unveiled by Virginia Governor, Terry McAuliffe, and the Secretary of Veterans & Defense Affairs, Carlos Hopkins. 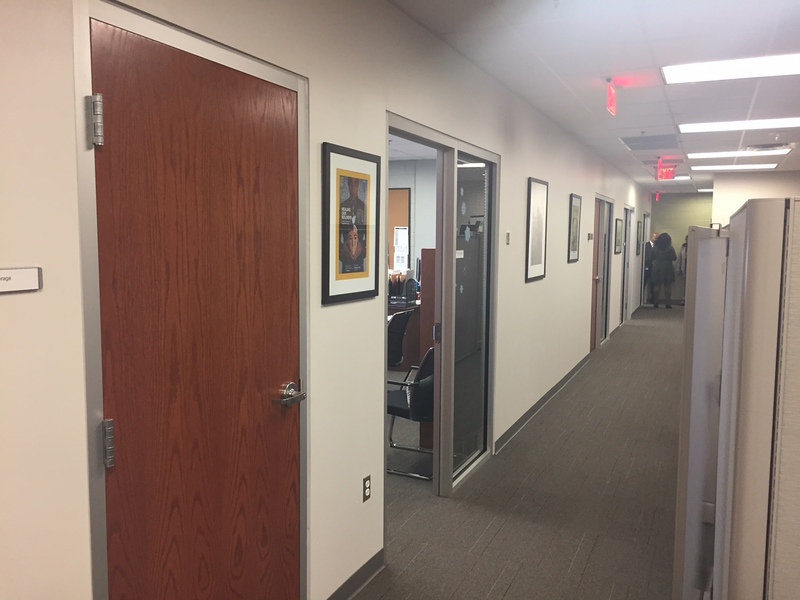 Many Virginia state agencies have been relocated over the past couple of years, due to the ongoing construction of a new General Assembly building. And moving a state agency is not unlike many of the other office moves we complete each year — meaning communication and organization are critical to a successful transition. Before the team even started to think about what needed to be packed and transported to the new office, we started with the pre-planning of the move. Over a two-month period, our team of Richmond movers hosted more than 10 pre-planning meetings with the agency to review the logistics of the move and to answer any outstanding questions. We also conducted packing classes with agency staff and provided specific details about the move ahead of time to ensure that the entire team was prepared. In total, the Hilldrup crew moved 84 employees, including the contents of 25 private offices from the Pocahontas Building to the James Monroe Building. This meant that crew members carefully disassembled and reassembled furniture, transported crates of employee-packed items and moved various pieces of IT equipment. To keep things running smoothly and efficiently, a move manager works closely with the customer to implement the detailed move plan. For this particular move, the move manager implemented a labeling system to keep contents organized and to deliver the right furniture to the right place in the new space. “Hilldrup’s promptness and professionalism was beyond reproach,” said Chris Mackey, director of operations for the Virginia Department of Veterans Services. 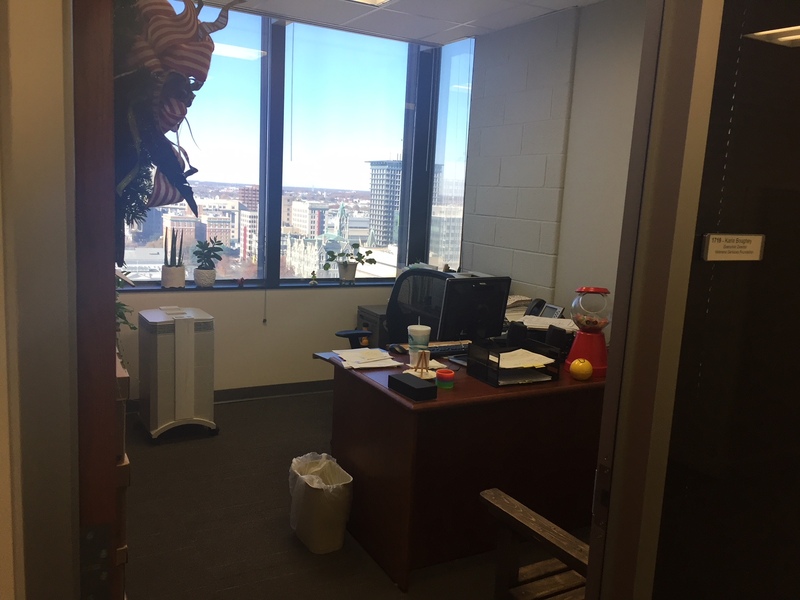 “They completed and fulfilled every aspect of the moving contract, to include a pre-packing demonstration and going outside of the scope of contract by working extra hours and providing a follow-up crew for minor furniture adjustment at no additional cost. It was an honor to be invited and recognized during the anniversary celebration at the James Monroe Building in Richmond. And we could not be any more thrilled to work with great partners like the Department of Veterans Services!